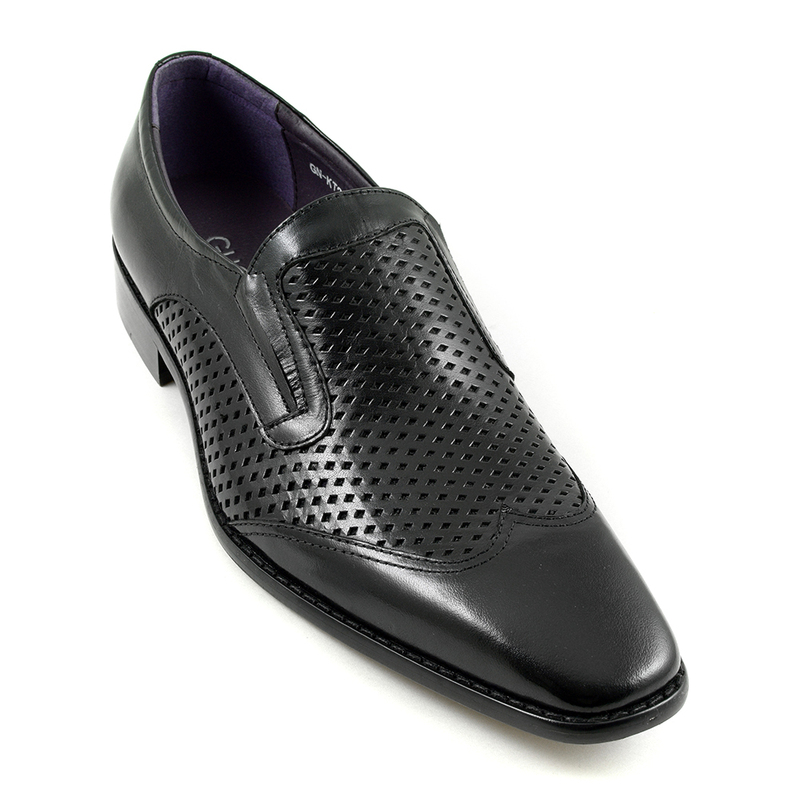 A black slip-on shoe which brings an original touch to an outfit with its punch out perforation. 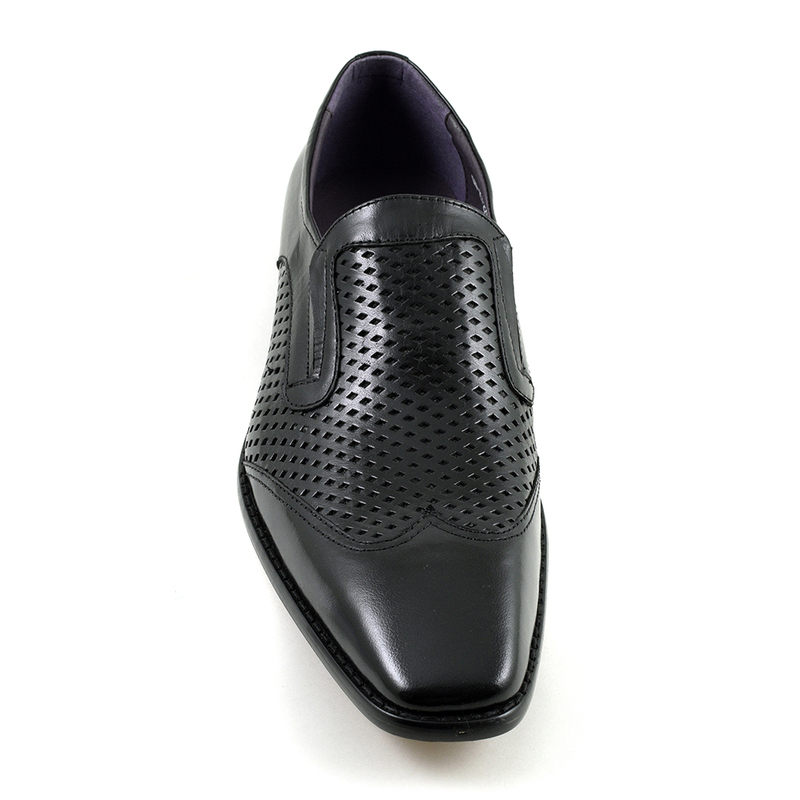 It has personality and style as a semi-formal shoe but is definitely not too stuffy! 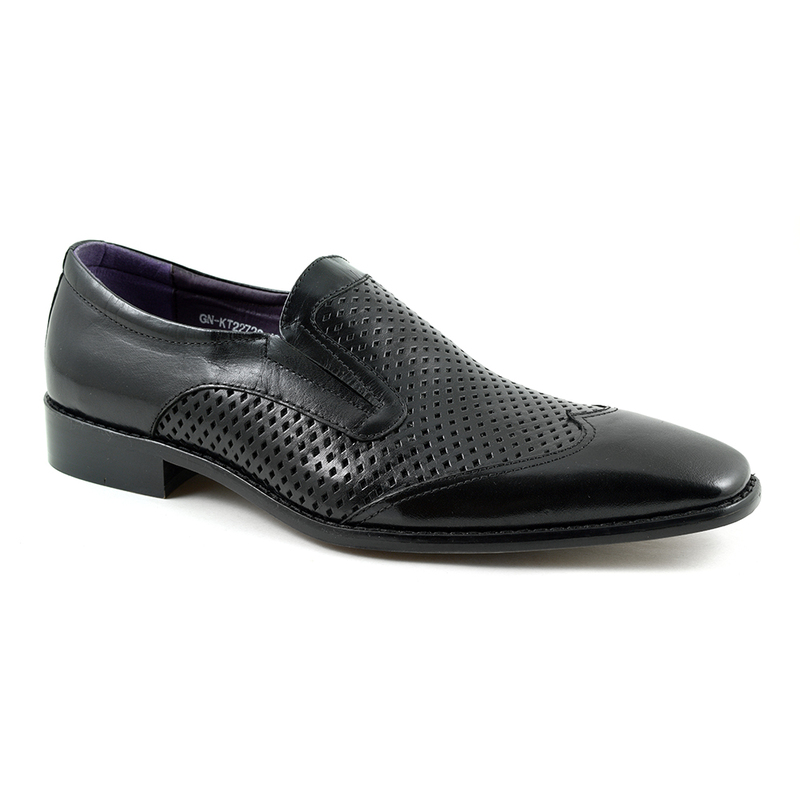 It is versatile and would look cool and breezy with shorts but equally work with a suit. 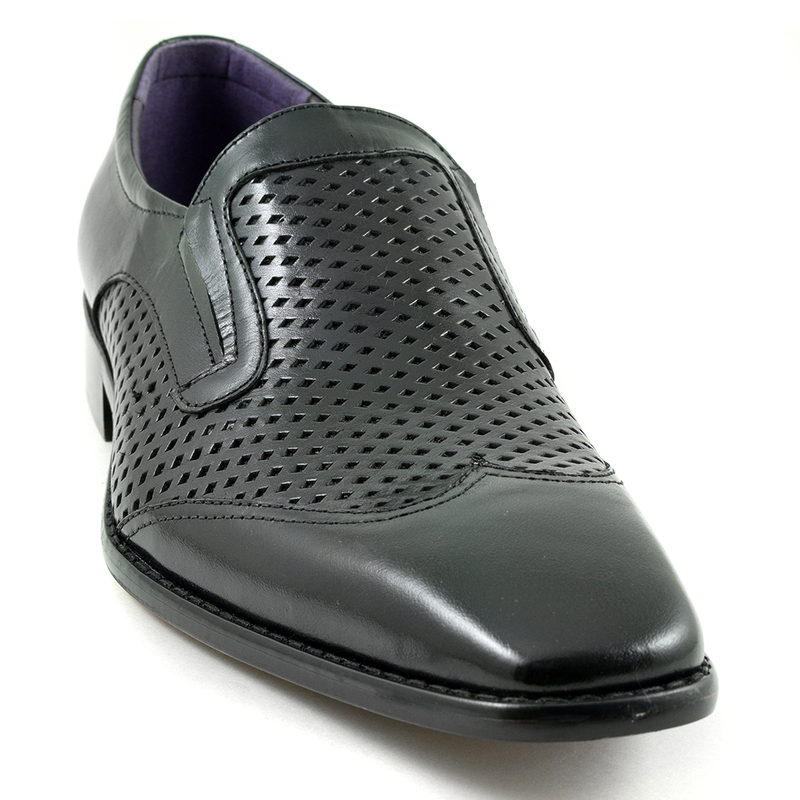 Be the first to review “Rafael Black Slip-On” Click here to cancel reply.